RUSH: Now, what I always say, and it’s absolutely true, the First Amendment does not give you the right to be heard. The First Amendment says the government can’t stop you from saying what they don’t like, but the First Amendment does not grant anybody the right to be heard. That is a very crucial point. Why am I bringing it up? Well, because have you heard about this? What is it? Yeah. 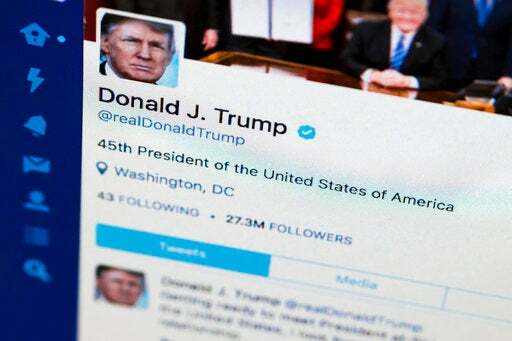 A judge, a judge has ruled that Donald Trump cannot block people on Twitter. The argument is that social media is a public forum, and the president cannot suppress views. Well, what about when Obama refused to call on anybody from Fox News during White House press briefings? The point is the First Amendment does not grant anybody the right to be heard. But beyond that, is there anything judges can’t do now? You should have seen CNN reporting this. They were joyous and happy like you can’t believe. A judge — I don’t know what judge, I’ve not seen the story yet, I’m just getting this. A U.S. district judge out of New York. I guarantee you it’s like these travel court judges or the travel ban judges, they’re just exercising their own political preferences here just to stonewall Trump, and just to hassle him. But a judge has ruled that Trump cannot block people on Twitter. First Amendment does not grant you the right to be heard. And you may say, “Of course not, Rush.” A lot of people confuse the two. With the right to free speech, meaning somebody has to listen to you. No, you have to earn that. You have to be compelling enough or interesting enough or what have you, relevant enough to make people want to listen. Nobody has to listen to you, even though the government can’t stop you from saying things.